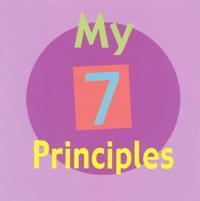 The Seven Principles in fun colors and short, simple language that’s just right for kids! This 4” x 4” booklet’s unique design unfolds into a 28” x 4” poster for display. It’s the perfect introductory tool for religious education classes and it’s back by popular demand. Ages 3–7. Pack of 10 booklets.